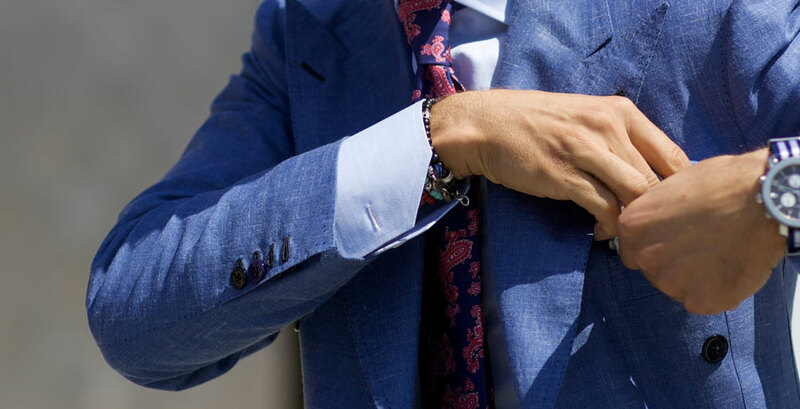 "Shirt cuff circumference can be customised so you can be more comfortable wearing your favourite timepiece"
A wide range of shirt cuff styles means that your shirt can be fully customised to the look and purpose that works best for you. Some of the styles are known by many names, so here is an easy to use guide to shirt cuff styles. This classic wardrobe staple features a single button and sharp right angle corner. The standard cuff style is the default for most business and casual shirts. You can choose a one-button or two-button style. Two buttons allows you to adjust how snug the wrist fits. This cuff style is a great option for casual shirts, or a business shirt in a less formal office. You can leave the second button open for a relaxed look. A two-button cuff style can have a square corner, mitred corner or rounded corner. The mitred shirt cuff style is cut across the corner at 45 degrees and includes two buttons. The mitred cuff is more formal than a standard cuff and adds an element of crispness to your shirt. The rounded cuff style adds a level of formality to your shirt. The outside corner of the cuff is rounded to a gentle arc. If you work in an office, rounded cuffs may give you more longevity than a square cuff, as it may wear out less from contact with the desk. French cuffs are a formal choice, perfect for dress shirts and to complement a dinner suit. French cuffs are twice the length of a regular cuff, folded in half to meet parallel, then secured with a cufflink. The cuff has stiff fusing to ensure the French cuff holds its shape. French cuffs can have a square corner or rounded corner. Cufflinks add an element of sophistication to your ensemble. If you work in an office, you might find that metal cufflinks bang on the desk as you type; soft cuff knots are a suitable alternative for the office. If you want the choice to wear cufflinks or regular buttons on the same shirt, a convertible cuff is a versatile choice. 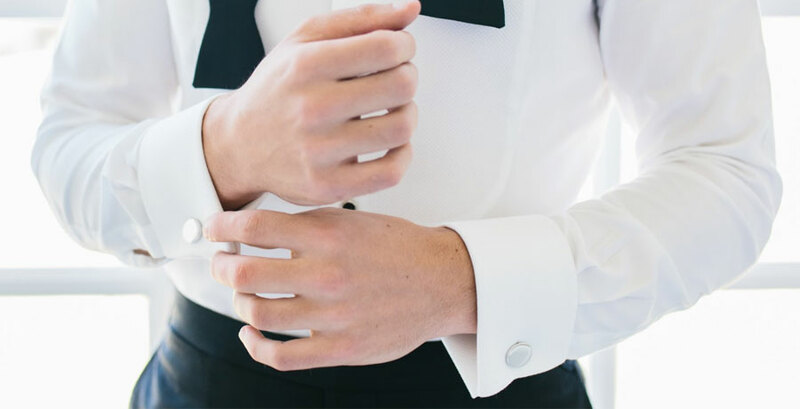 It gives you the option to dress up your shirt for the evening by switching to cufflinks. Unlike French cuffs, the convertible cuff is a single layer and doesn’t have a fold-back. Convertible cuffs have square corners. If you have a large statement watch, you can have a shirt made especially for it. Shirt cuff circumference can be customised so you can be more comfortable wearing your favourite timepiece. Bring your collection of watches to your fitting so we can be sure of the right fit. Book a consultation to create your own tailor-made shirts with your favourite shirt cuff styles. Book in Melbourne on 03 9998 3793 or Sydney on 02 8999 5081.